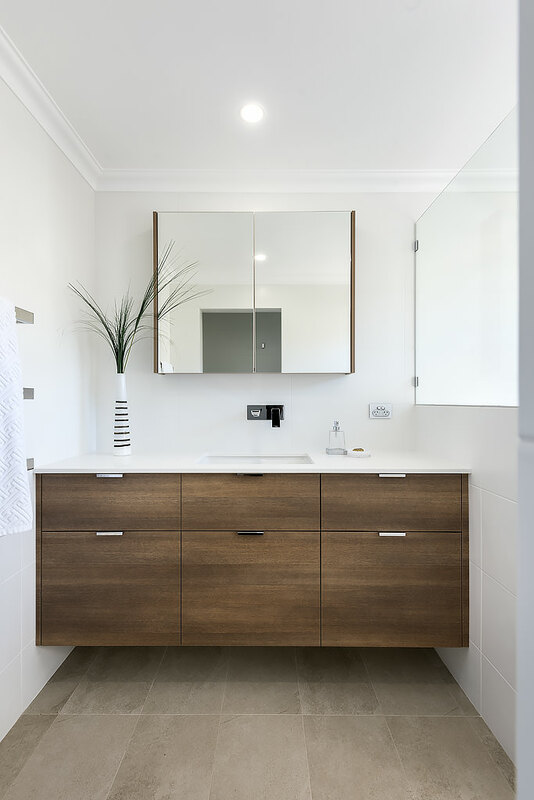 It is the attention to detail in this gorgeous bathroom renovation that makes it an aesthetic as well as practical space. 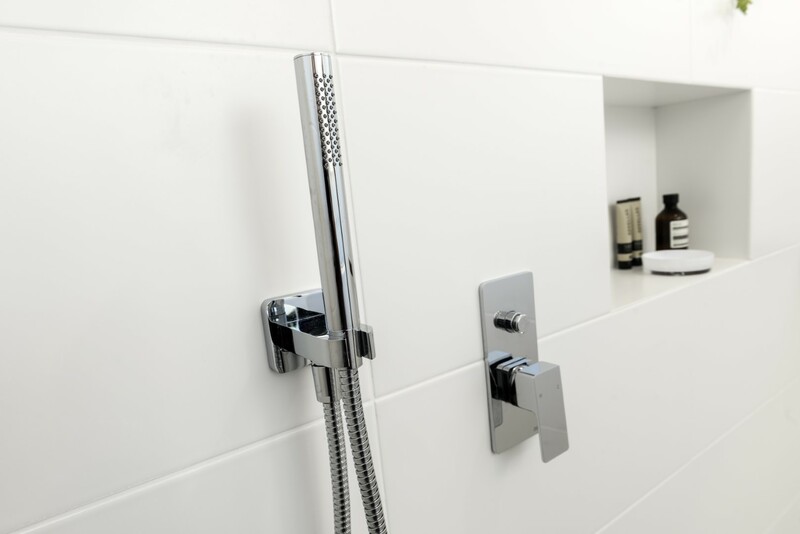 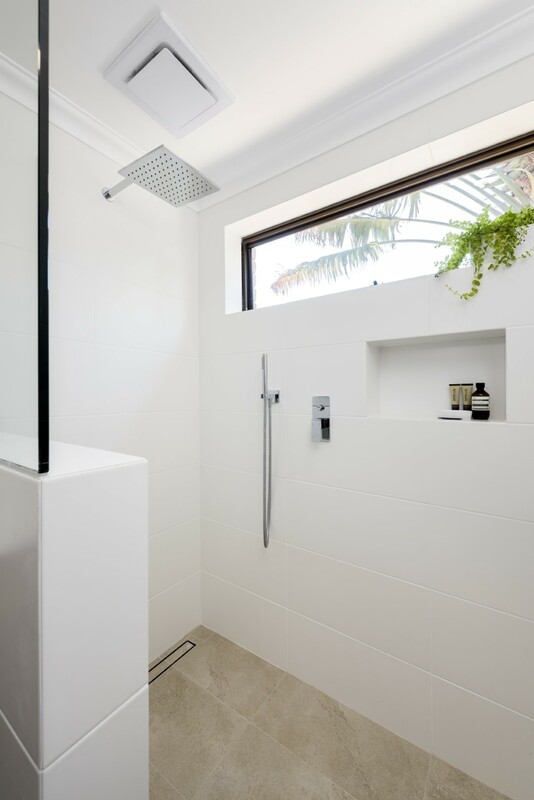 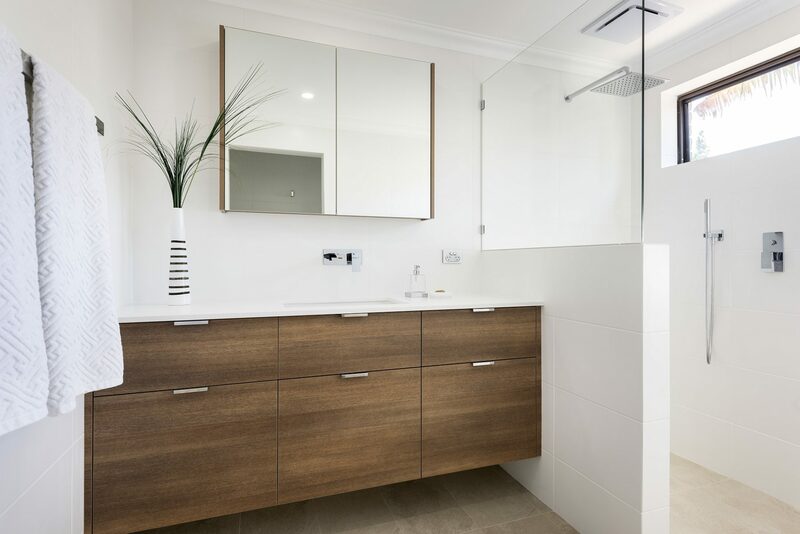 Set in one of Perth’s beautiful coastal suburbs, the open shower recess with square overhead shower and wall-mounted hand-shower bring an element of resort luxury. 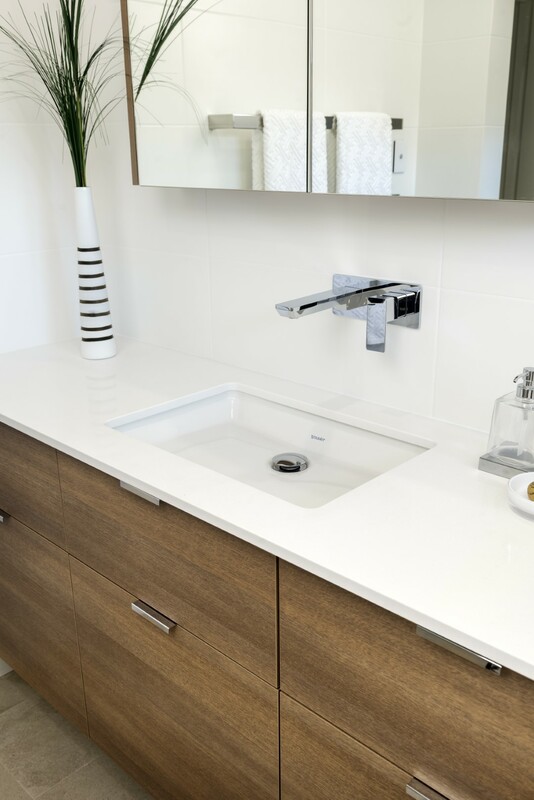 Bespoke cabinetry allow for the vanity to fit precisely into the space, and a wall-mounted basin mixer set means less depth is needed for the bench top. 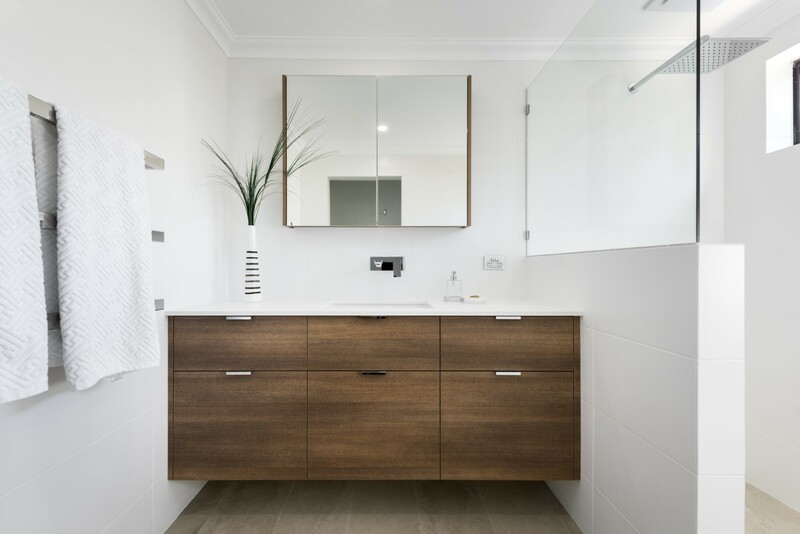 In addition to the generous cabinetry storage, a shower niche and nib wall provide room for items to be easily accessible. 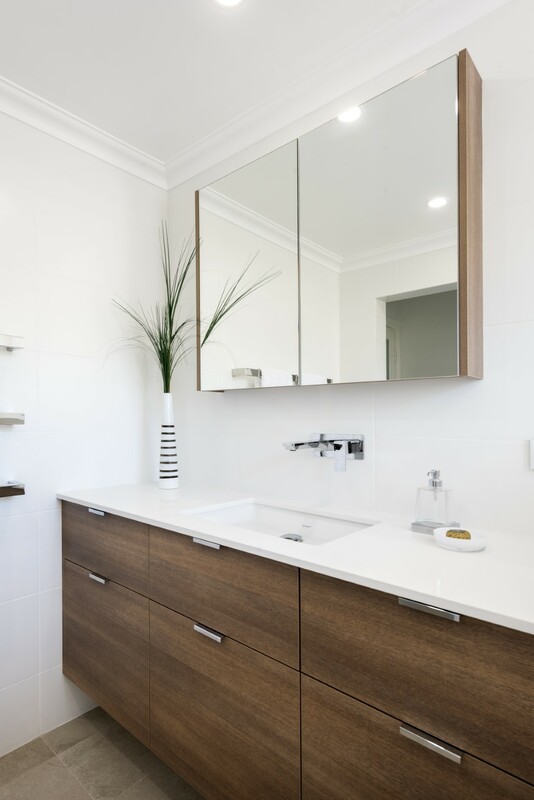 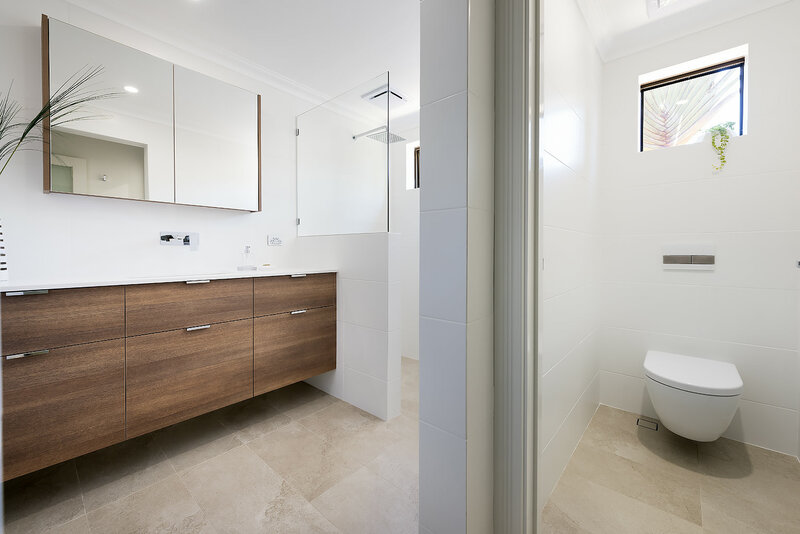 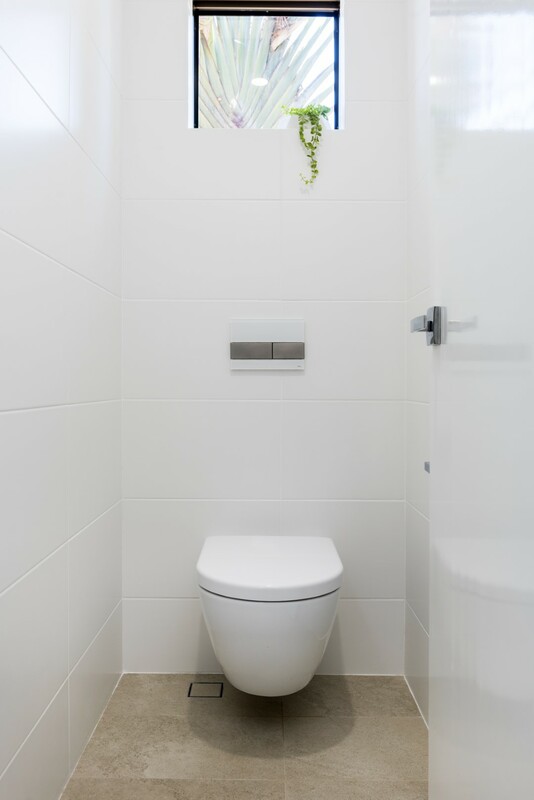 Find out we can renovate your small bathroom.